This plant is called “little marijuana” because it was used as a substitute for Cannabis. It tastes very good and will get you in a state of relaxation. The Leonurus Sibiricus originally grows in China, Mongolia, Japan, Korea and Siberia. Later, is has also been naturalized in South-, Central-, and North-America. 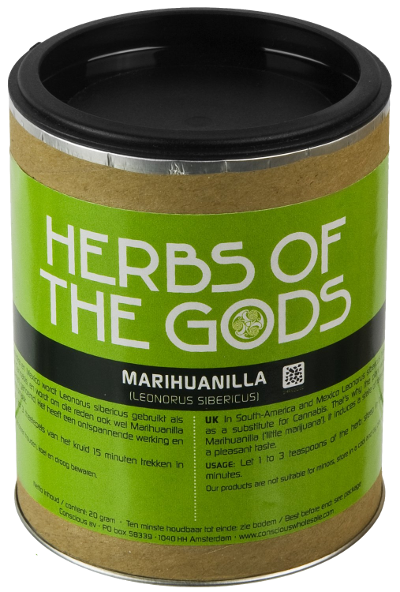 The herb was always known because of its relaxing properties, but was named “little marijuana” by the Mexicans who used it as a substitute for Cannabis. Other common nicknames are Siberian Motherwort, Honeyweed, and ‘Mi Amor’ (= Spanish for “my love”). The herb is mentioned in the ancient Chinese “Book of Songs”, and has been used as a medicine for treatment of impotence in men, menstruation problems of women, and blood circulation. Traditionally the Honeyweed was used in devotional and offering rites. 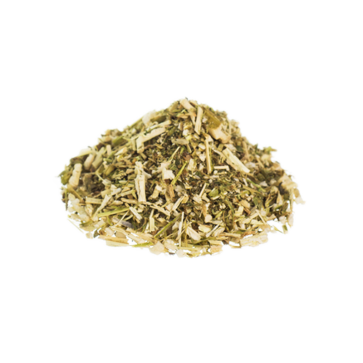 Mexican folk magic believed the herb to be effective for to enforce the “return of the groom”. Use 1-3 teaspoons to make 1 cup of tea. Let it steep for 15 minutes. Use 1-2 grams to roll the herb into a cigaret, or to smoke with a pipe. Very fast shipping.thanks for that, Keep it up. I try to smoke it....brrrrr Bad taste!have Very coughed! But to have cup of Tea at five, brillante! I Mix it with Green or Black Tea sometime fruidtea. If you have a Stress Day it will bring you soft down.Good relaxing. I m fine with it.